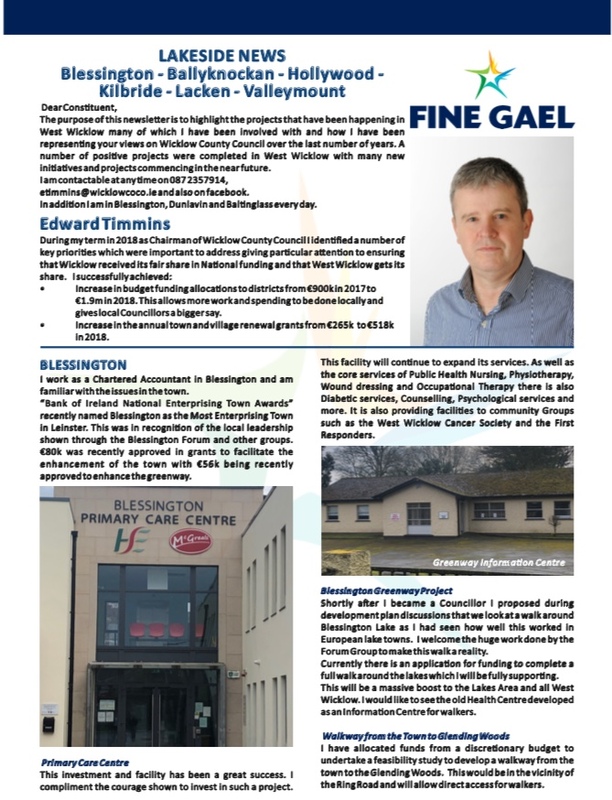 A Leaflet from Edward Timmins running for Fine Gael in Baltinglass for a seat on Wicklow County Council. A Leaflet from Ciara O’Keefe who is running for Fine Gael in Athy for a seat on Kildare County Council. 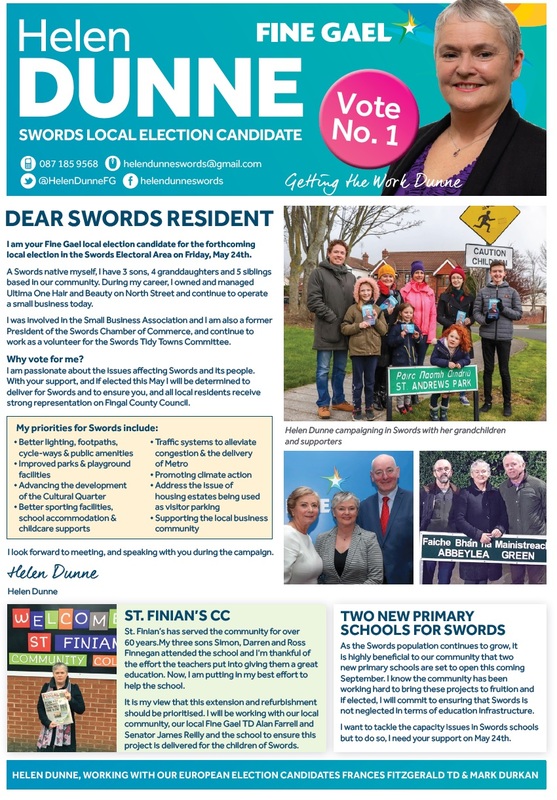 A Leaflet from Helen Dunne of Fine Gael who is running in Swords for a seat on Fingal County Council. A Leaflet from Aoibhinn Tormey of Fine Gael who is running in The Howth Malahide LEA for a seat on Fingal County Council. A Leaflet from Peggy O’Dwyer of Fine Gael who is running in Newbridge for a seat on Kildare County Council. A Leaflet from Kazi Ahmed who is running for Fine Gael in The Glencullen/Sandyford LEA for a seat on Dun Laoghaire Rathdown County Council. A Leaflet from Jim O’Leary of Fine Gael who is running in Dundrum for a seat on Dun Laoghaire Rathdown County Council.